"This is truly the ballgown of a princess - a gauzy tulle skirt topped with an incredibly gorgeous lace bodice and a sheer, beaded back." 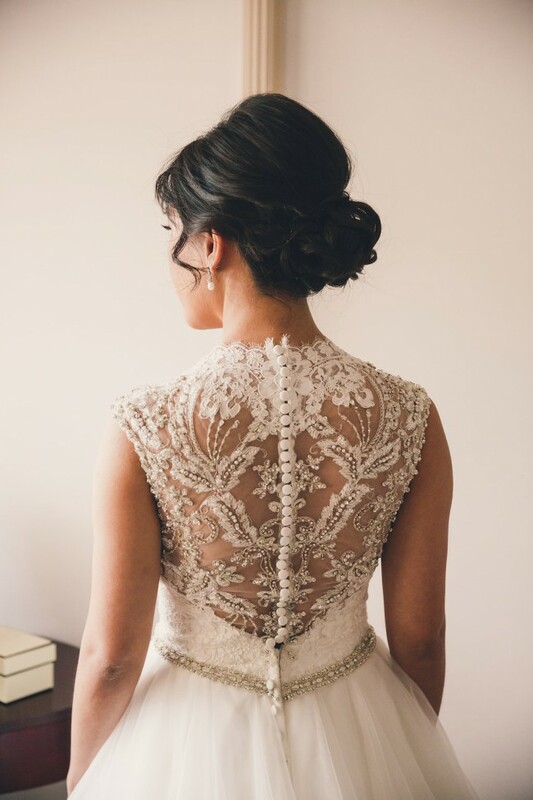 This is a classic gown with an unforgettable back. Potential buyers are welcome to come and try it on (located in Brisbane). Skirt shortened, sleeves taken in and bustle/bra cups added.